What: What’s better than doing brunch with friends? Doing brunch with friends in bed. This Saturday, join us in a celebration of leisure as we toast to our first ever Brunch Issue, on newsstands now. There will be stiff cocktails for daytime drinking, a full menu of classic brunch dishes, and live entertainment. The best part? 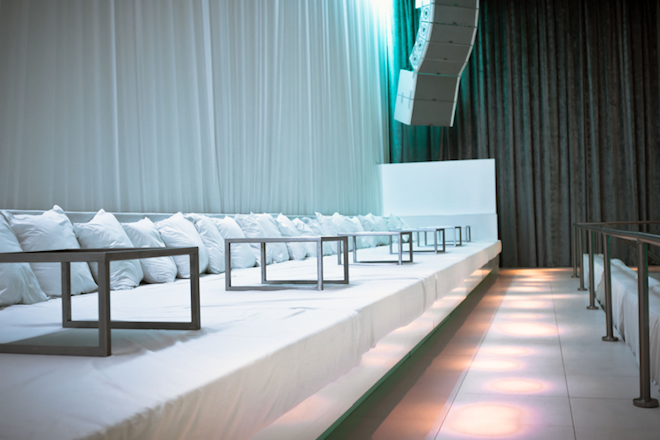 supperclub Hollywood, The Restaurant is our destination, so you get to go out and brunch in bed at the same time. When: Saturday, September 21 at 11 a.m. until 1 p.m.
Where: supperclub, The Restaurant, 6675 Hollywood Blvd., Hollywood. How: $35 gets you in on all the bedtime fun, and includes all beverages and food. Secure a reservation here. The 100 Most Photogenic Spots in L.A.